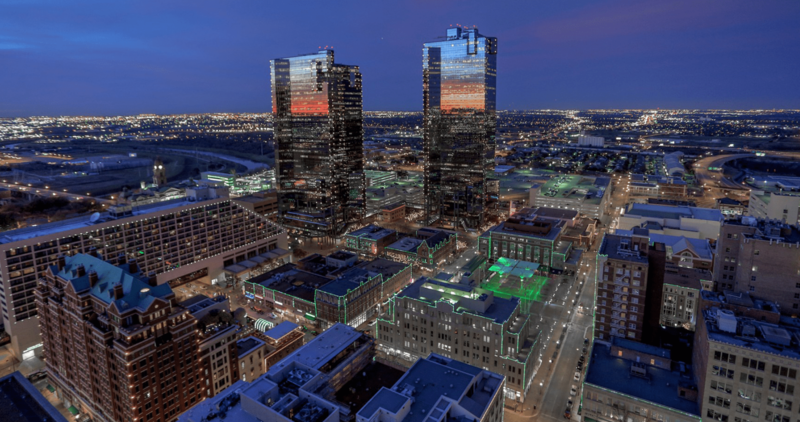 Luxury condo located in Montgomery Plaza on the very desirable 7th floor of the East tower! It's all about lifestyle and convenience where upscale shops and restaurants are just an elevator ride away. Don't miss out on this rare 2 bedroom, 2 bath condo that features 16ft ceilings, and double the windows of most units that provides you with a view of the rooftop resort-style pool! The kitchen offers plenty of cabinet and counter space, granite counter tops, custom back splash, convection oven. Stunning architecture with a modern industrial vibe. This unit comes with two deeded spaces in the exclusive subbasement garage which provides the new owner with an elevator that goes straight to the 7th and 8th floors.